The Alma Accent family of laser machines incorporates two radio frequencies – bipolar and unipolar – to deliver impressive results for skin tightening, body contouring and wrinkle reduction. It can be used with a variety of available hand pieces and it features Alma’s exclusive IN-Motion technology to provide for a virtually pain-free patient experience. The Alma Accent is available in two primary configurations – the Alma Accent XL and Alma Accent Elite. At SunrayLaser.com, we want to help you save money on the purchase of a used Alma Accent laser machine. We have used cosmetic laser systems for sale at up to 60% off the new retail price, and the Accent system is extremely cost efficient because it does not require any disposables. The dual layer thermotherapy offered by the Alma Accent laser equipment is unique in the industry and has made this system one that patients will ask for by name. If the high cost of a new Alma Accent laser machine is preventing you from buying one, then fill out the simple contact form below and we’ll provide a no obligation price quote. We realize that saving money on a pre-owned Alma Accent laser system isn’t worth much if you don’t get a quality machine, and that’s why we thoroughly test and inspect everything we sell. Plus, we back it up with a 100% satisfaction guarantee for your peace of mind. 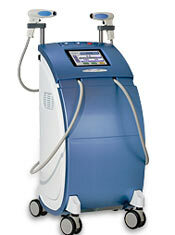 Contact us today for pricing information on a used Alma Accent laser machine.